I guess any home cook after a long stretch of good cooking and baking adventures is bound to have a bad one, but I have to say it was depressing when it happened to me. I almost threw them away (sad, it was good Ghirardelli chocolate) when my dear friend Melanie came to the rescue with this idea. 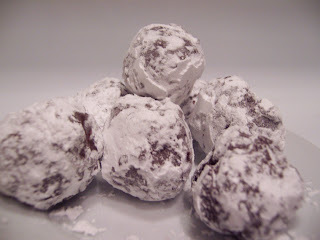 The dough was so moist and sticky even after baking so I rolled the crumbs into little dense balls, dipped them in melted chocolate and dusted them in powdered sugar for little truffle-like, snowball-resembling delights. Thanks Mel, you are brilliant! 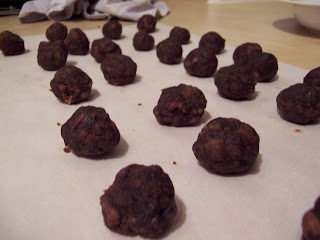 Crumble up muffins/brownies and roll into compact little balls. 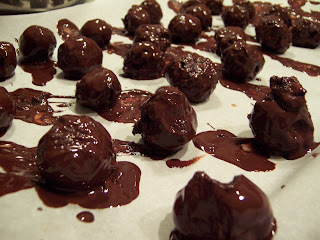 Dip in melted chocolate, and then place on parchment paper and chill for about 5 minutes. 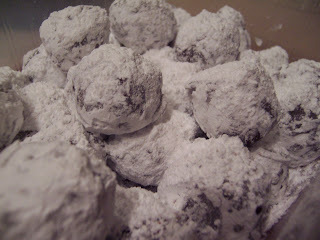 Roll in powdered sugar, store refrigerated or serve immediately. Preheat over to 350. Sift together all dry ingredients. Meanwhile beat egg until frothy with mixer, then add sugar, oil and vanilla until the mixture is thick and pale and forms ribbons when stirred. 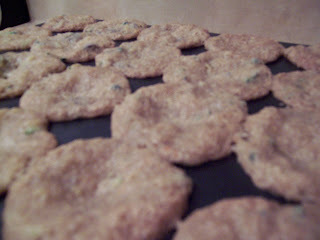 Stir flour mixture into wet mixture, and then fold in chocolate chips. Pour into lightly greased mini muffin tins, bake for about 10 minutes, let cool to room temperature then proceed with directions for snowballs. I love it! I've had my share of disasters and tried always to find a use for them. Recently, I included some dry cookies in a chocolate bread pudding and the result was fabulous. 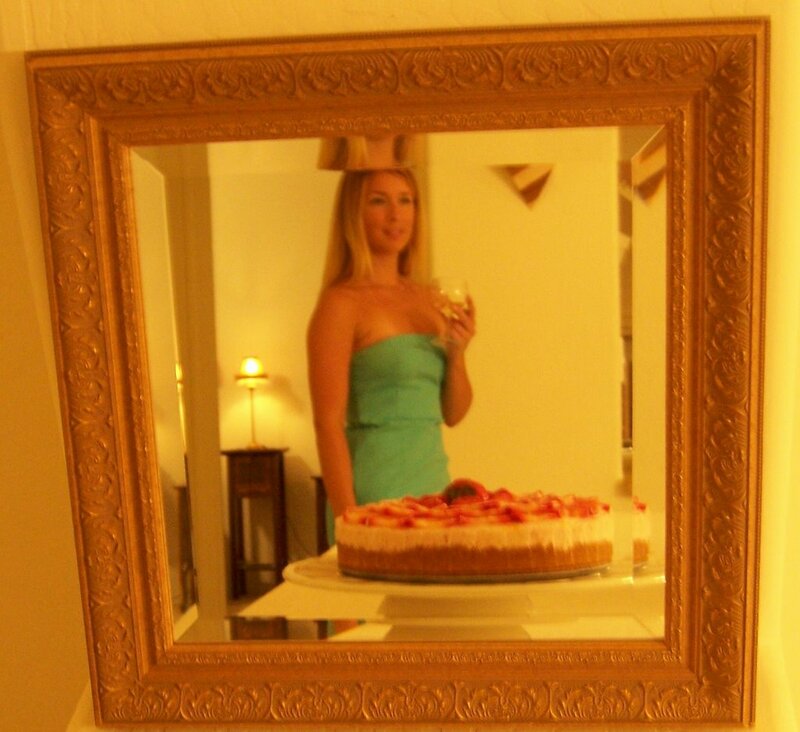 Very nice post! Without a few disasters here and there, we'd never learn how to cook, because cooking is all about adjusting and working with what you have, and having the confidence to present your food with pride even if it didn't turn out exactly as you'd planned! It was probably because you halved the recipe. When it comes to things like cakes and muffins you have to mess around with the recipe you can't just half it. These are so yummy and dangerous! You need to take them home! =) You've really inspired me to try this with different flavor combinations. I can't wait!